In 1980, Klaus Weber at the Max-Planck Institute and I published the amino acid sequence of human beta- and gamma-cytoplasmic actins. In 1981, after we completed this work, Klaus asked me “What are you going to do next?” I told him that I was moving to the Linus Pauling Institute of Science and Medicine in Palo Alto, California, and that I was going to clone the human beta-actin gene. My reason was that I had discovered a mutation in beta-actin that was associated with a tumorigenic human fibrosarcoma cell line. I wanted to test the hypothesis that this mutation contributed to the tumorigenic potential of this fibrosarcoma. In 1984, I published the cloning of multiple copies of both the normal (wildtype) human beta-actin gene and multiple copies of the mutant gene. These actins are the most abundant proteins of all replicating mammalian cells and most other cells, down to yeast. (My story of meeting Dr. Pauling, moving from the National Institutes of Health to the LPISM, and our work on the role of this actin mutation in tumorigenesis in our model system was recounted in an article posted at the Pauling Blog in 2014.) In 2013, Schoenenberger et al. at the Biozentrum in Basel, Switzerland, reproduced all of our findings in a different cell system, a rat fibroblast model system, and extended our findings (see our review of their work). A year ago, in June 2015, Dugina et al published a paper that proposed that altering the ratio of these two actins regulated either suppression or promotion of cancerous cell growth (more work needs to be done). I was very surprised by this idea – even though our work at LPISM had suggested this, I hadn’t thought of putting our observations into the language of “tumor suppression” and “tumor promotion.” Perhaps this was because, in the 1980s, hundreds of so-called “oncogenes” (tumor promoters) and tumor suppressor genes were being cataloged, and our findings were suggesting that a so-called “housekeeping” gene could do the same. Until recently non-muscle cytoplasmic β- and γ-actins were considered only to play structural roles in cellular architecture and motility. They (the two isoforms) were viewed as products of housekeeping genes and β-actin was commonly used as internal control in various biochemical experiments. It didn’t go unnoticed by me that this paper failed to cite any of our papers, which had produced fundamental knowledge about human cytoplasmic actins. For example, instead of citing our 1980 paper on the amino acid sequences of human cytoplasmic beta- and gamma-actins, the Russian authors cited a paper on the sequences of bovine actins. Furthermore, these authors were apparently unaware of our discovery of actin mutations leading to tumorigenesis and several examples of null alleles of human beta-actin genes associated with tumors. I communicated by email with the senior author of this paper, Pavel Kopnin at the Blokhin Russian Cancer Research Center in Moscow, not to complain about these omissions, but to tell him that I liked his hypothesis and to explain why. He thanked me and opined that he had had trouble persuading reviewers to publish the paper. I told him that our findings supported his hypothesis and would have made his argument stronger. He apologized for not citing our work and said that he had not reviewed the literature that far back, which amounted to twenty-eight years since our last paper from LPISM was published in 1987 (this made me feel old). As early as March 1980, I had suggested in writing that altering the ratio of beta- and gamma-actins might contribute to the causation of cancer. This paper was published in the major journal, Journal of Biological Chemistry (see the figure below, last sentence of the abstract). If Dugina et al. were to consider filing a patent on this idea as an invention, our paper would have to, at least, be considered as invalidating prior art along with the rest of our work at LPISM up to 1987. Both our work at LPISM and Schoenenberger’s work in Basel indicate that the mutation in one of two alleles of the beta-actin gene produces a stable, but defective, form of beta-actin. If Dugina’s hypothesis is correct, it is tempting to suggest that the function of the mutation site in beta-actin controls suppression of tumor formation. I recommended to Pavel Kopnin that his lab pursue this and it is my impression that his lab will continue to work on this hypothesis. In our model system, we isolated a derivative cell line from the original mutated human fibrosarcoma cell line that exhibited even faster tumor formation (Leavitt et al, 1982). In this second cell line, the mutant beta-actin gene had acquired two additional mutations that made the mutant beta-actin labile with a fast turnover rate in the cell (Lin et al, 1985). As the result of this change, the ratio of stable beta- to gamma-actin changed from approximately 2:1 to approximately 1:1. Furthermore, we found that the two remaining stable forms of beta- and gamma-actin up-regulated in synthesis to maintain a constant normal amount of actin in the cell. In addition, when we transferred additional mutant human beta-actin genes into immortalized but non-tumorigenic human fibrosarcoma cells, we found that both beta- and gamma-actin from the endogenous normal genes were down-regulated to maintain a constant stable amount of actin in the cell. Thus, we found and reported that beta- and gamma-actin levels in living cells auto-regulated the activities of their own endogenous genes to maintain a constant level of actin in the cell along with a constant ratio of these actins as well (Leavitt et al, 1987a; and Leavitt et al, 1987b). This finding was later confirmed by other laboratories. These final observations lend support to the idea that maintaining a normal ratio of fully functional cytoplasmic beta- and gamma-actins may be required for the maintenance of the normal, non-neoplastic cellular phenotype. By contrast, mutations and deletions that alter the ratio of functional cytoplasmic beta-actin to gamma actin could lead to tumorigenesis. Hopefully, Pavel Kopnin and others who are aware of our work at LPISM will explore further the role of cytoplasmic actins in maintenance of the normal, non-neoplastic state. On August 24, 2016, the New York Times summarized the results of a Phase 3 clinical study of 6693 women with breast cancer. The outcome of this extensive clinical study was published in the New England Journal of Medicine on August 25, 2016. The clinical trial had been initiated ten years earlier on December 11, 2006 in Europe, (2005-002625-31) and on February 8, 2007 in the United States (NCT00433589). The study examined seventy select genes (seventy breast cancer “signature genes”) out of approximately 25,000 genes in the human genome that, when assayed *together* using a high density DNA microarray, predict the need for early chemotherapy. In other words, the study asked which of the 6,693 tumors were “high risk” and likely to metastasize to distant sites within a five-year period, and which of these tumors were “low risk” and likely not to metastasize to distant sites in five years. One stated purpose of the study was to determine the need for chemotherapy, which can be very toxic and cause unnecessary harm to the patient, in treating breast cancer. The study found that a certain pattern of elevated or diminished expression of the seventy signature genes can predict a favorable non-metastatic outcome without chemotherapy for five years (while undergoing other forms of therapy such as surgery and irradiation). One of the seventy selected genes is L-plastin (gene symbol “LCP1” and identified by the blue arrow in the figure below). In 1985, my colleagues and I identified this protein in a cancer model system and named it “plastin” (Goldstein et al., 1985). We cloned the gene for human plastin while at the Linus Pauling Institute of Science and Medicine in 1987, and discovered that there were two distinct isoforms encoded by separate genes, L- and T-plastin (Lin et al, 1988). In 2014, in a piece published on the Pauling Blog, I described in some detail the discovery of L-plastin and its subsequent cloning. A second figure, which is included below, summarizes information about L-plastin in a gene card published by the National Center for Biotechnology Information. This card shows that “LCP1: is the gene symbol for L-plastin and also identifies alternative names for L-plastin. Except for the inappropriate expression of L-plastin in tumor cells, this gene is only constitutively active in white blood cells (hematopoietic cells of the circulatory system). We used very sensitive techniques to try and detect L-plastin in non-blood cells such as fibroblasts, epithelial cells, melanocytes, and endothelial cells, but could not detect its presence in these normal non-hematopoietic cells of solid tissues. The clinical study reported on in the New York Times and New England Journal of Medicine shows that if L-plastin is not elevated in synthesis and modulated in combination with other signature genes, there should be little or no metastasis in five years. However, if L-plastin, in combination with other signature genes, is elevated in the early stage tumor, then the tumor is a high risk for metastasis and should be treated with chemotherapy. The above figure consists of a pair of two-dimensional protein profiles that show the difference in expression of L-plastin and its phosphorylated form (upward arrows) between a human fibrosarcoma (left panel) and a normal human fibroblast (right panel). My colleagues and I also found that L-plastin elevation is likewise a good marker for other female reproductive tumors like ovarian carcinoma, uterine lieomyosarcoma and choriocarcinoma (uterine/placental tumor), as well as fibrosarcomas, melanomas, and colon carcinomas. Abundant induction of L-plastin synthesis was likewise observed following in vitro neoplastic transformation of normal human fibroblasts by the oncogenic simian virus, SV40 (see Table IV in Lin et al, 1993). The abundant synthesis of L-plastin that we found normally in white blood cells (lymphocytes, macrophages, neutrophils, etc.) suggested to me that the presence of L-plastin in epithelial tumor cells like breast cancer cells contributes to the spread of these tumor cells through the circulatory system to allow metastasis at distant sites. Indeed, both plastin isoforms have now been linked to the spread of tumors by metastasis, an understanding that is summarized in another Pauling Blog article from 2014 and, more recently, in other studies. 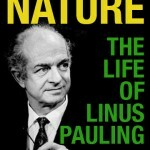 After a sigmoidoscopy in 1993 revealed that Linus Pauling’s rectal tumor was still growing, the reality set in that he was not likely to survive his cancer. It was at this point that Pauling began to seriously consider which of his possessions should be turned over to family and which should be transferred to his archival collection at Oregon State University. The same year, it was decided that it would be a good idea to arrange a special symposium, sponsored by Caltech and the Linus Pauling Institute of Science and Medicine, on or near his 93rd birthday. Speakers would consist of former graduate students and postdocs. Pauling had once imagined that an event of this sort would be appropriate for his 100th year, a birthday that he had fully intended to achieve. Throughout 1993, Pauling strived to be as active as possible, giving interviews in person or over the telephone, and entertaining many visitors at Deer Flat Ranch. At the end of May, Pauling and a collection of friends, family, and co-workers also gathered to celebrate the Linus Pauling Institute of Science and Medicine’s 20th anniversary. However, as time moved forward and his illness worsened, Pauling attended to his scientific writing and correspondence at a decreasing rate. On two occasions, he returned to Palo Alto to attend scientific meetings, giving a short talk at one, and the last scientific paper that he authored himself was written in November-December of 1993. Much of his time was taken up with scheduled visits to his doctors in San Luis Obispo and Cambria, or simply resting at Deer Flat Ranch, his sanctuary on the Pacific Ocean. Pauling delivering his last lecture at the International Symposium on Biological NMR, Stanford University, March 25, 1994. In January 1994, Pauling’s physicians decided that steps needed to be taken to shrink his tumor, and Pauling relented to a course of chemotherapy, during which he attributed his lack of negative side effects to his taking routine megadoses of vitamin C. When Pauling learned that the cancer had spread to his liver, however, his hope to live to be one-hundred years old were lost. He stopped taking vitamin C completely, and gave up writing in his research notebook – a brief note about his work on nuclear structure appears in January and the pages after it are blank. During the last months of his life, Pauling met with friends and family, while also attending to some less pleasant business. LPISM administrator Steve Lawson and Linus Pauling, Jr. journeyed to Deer Flat Ranch during this time to mediate ongoing litigation between the Institute and Matthias Rath, who had initiated a lawsuit against his former employer. Even at the deposition, which was given from his bed, Pauling welcomed Rath warmly. Pauling’s final public appearance came on June 19, 1994, at the conference that he had requested be organized a year earlier, and which his son Crellin had arranged. This event, which was ultimately hosted by The Pacific Division of the American Association for the Advancement of Science, was titled “A Tribute for Linus Pauling” and was held at San Francisco State University. Pauling’s ranch hand Steve Rawlings attended as Pauling’s nurse, bringing him into the assembly in a wheelchair. Upon entering however, Pauling stood and insisted on walking into the room, receiving applause from the gathering as he made his way to his chair. An array of speakers including Harden McConnell, Alexander Rich, Frank Catchpool, Richard Kunin, and Crellin Pauling delivered moving talks detailing Pauling’s major contributions to science, human health, and world peace. A final family photo session, on Pauling’s 93rd birthday. Seated to Pauling’s left is his sister, Pauline, who lived to the age of 101. Pauling’s daughter Linda was at Deer Flat Ranch with her husband and children on August 18, 1994, when Pauling suffered a stroke that left him comatose. Pauling’s sons Crellin and Linus Jr. arrived the next day and were both at the ranch with him on the evening that he died. His passing came at the end of a beautiful summer day, as the sun was just beginning to set over the Pacific. At the end of his life, Pauling wore on his wrist an opal bracelet that he had once given to his late wife, Ava Helen, as a gift. In those days, we had an old fashioned phone system where you could see a number of little pegs that would light up for an incoming line, and I think there were as many as six incoming lines. Before long every light was lit and blinking: it was the New York Times, it was CBS, it was everybody under the sun that wanted statements. Pauling’s passing was reported the next day through packages of stories in the New York Times and the Los Angeles Times that were immediately picked up by news services and syndicated around the globe. The Pasadena Star-News ran its own article a few days later, as did the Medical Tribune and the scientific journal Nature. Personal letters flooded in to the Pauling children and the Institute from every corner of the globe: France, the United Kingdom, Russia, Japan, Italy, Australia, South America, the Philippines, and all across the United States. Universities and organizations worldwide, including Caltech and the American Association for the Advancement of Science, all sent heartfelt letters conveying their sadness at the loss of a great man. In the months and years that followed, Pauling’s life was honored around the world in a wide variety of ways. The Alpha Chi Sigma chemistry fraternity, which is based in Indianapolis, dedicated the Library Room of its house to Pauling. A fossil leaf from an extinct species of citrus tree was also named after him: Linusia paulinga. Later on in 1994, shortly after Pauling’s death, Steve Lawson started receiving unmarked packages in the mail, containing nearly exact replicas of Pauling’s Nobel Prizes. A week or two after they had arrived, Pauling’s son Peter, then living in Wales, called and cryptically asked if Lawson had received anything “unusual” in the mail. As it turned out, Peter had gone to the Nobel Academies and had duplicate medals struck in an alloy for family members and for the Institute to hold as keepsakes. Later still, with the help of Pauling’s daughter Linda and officials at Oregon State University, Lawson and others planned a Linus Pauling Exhibition, which was sponsored by the Japan-based peace organization, Soka Gakkai International. Intended as a mechanism to educate the public about Pauling’s work and to introduce school children to Pauling as a role model, the exhibit focused on all facets of Pauling’s career as a humanitarian, as an activist, as a scientist, and as a medical researcher. Over the course of several years, millions of people visited the exhibit in Europe, Japan, and many locations in the United States, including Washington D.C., San Francisco, and Boston. The exhibit was created by a team of designers who, when it had finished touring, donated all of its elements and infrastructure to Oregon State University.